Fresh off settling a legal dispute with New York Review of Books critic Martin Filler, Zaha Hadid has unveiled plans for her latest project. And even for the Queen of Swoop, this one is big. Very Big. Record-breaking big. Working with ADP Ingeniérie, a French firm that specializes in airport design, Hadid has drawn up plans for the largest airport passenger terminal on earth. The superlative terminal will, of course, be in China. Specifically, at the new Daxing Airport near Beijing. 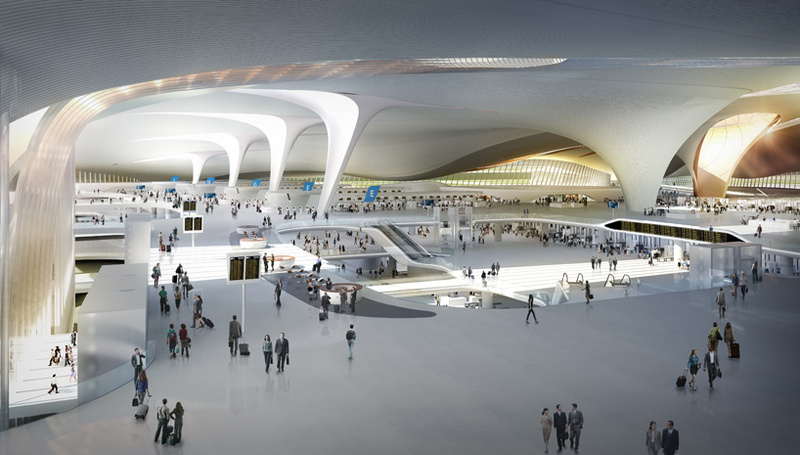 Conceptual designs for the roughly 7.5-million-square-foot space have all the trademark design flourishes of Hadid’s work—an undulating roof, swooping columns, and a grand, polished interior. Gizmag noted that from above the terminal appears as a “massive mutant starfish.” Not wrong. 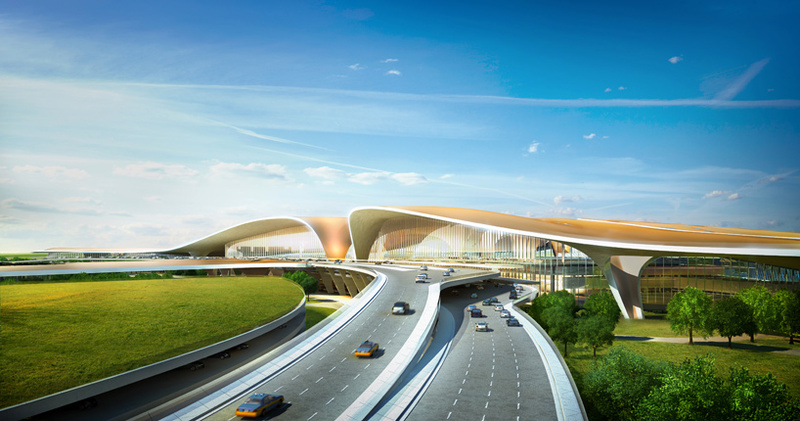 “Initially accommodating 45 million passengers per year, the new terminal will be adaptable and sustainable, operating in many different configurations dependent on varying aircraft and passenger traffic throughout each day,” said Zaha Hadid Architects in a statement. The firm added that the terminal will serve as a multi-modal transit hub with connections to local and national rail lines. 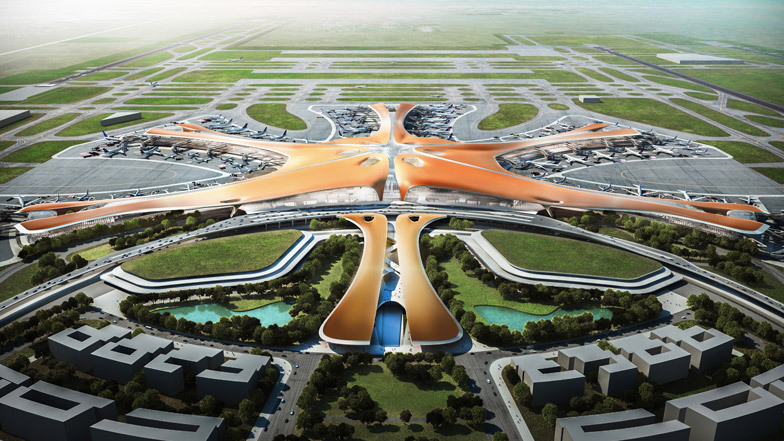 “Under the leadership of the Beijing New Airport Headquarters (BNAH) and the Local Design Institute, the joint design team consists of ADPI and ZHA, along with competition consortium group members Buro Happold, Mott MacDonald and EC Harris,” reported ArchDaily. The project is slated to be completed as soon as 2017.